Using CNC programming and high definition plasma burning, RRD Welding and Fabrication is able to provide some of the most complex and high quality jobs for their clients. 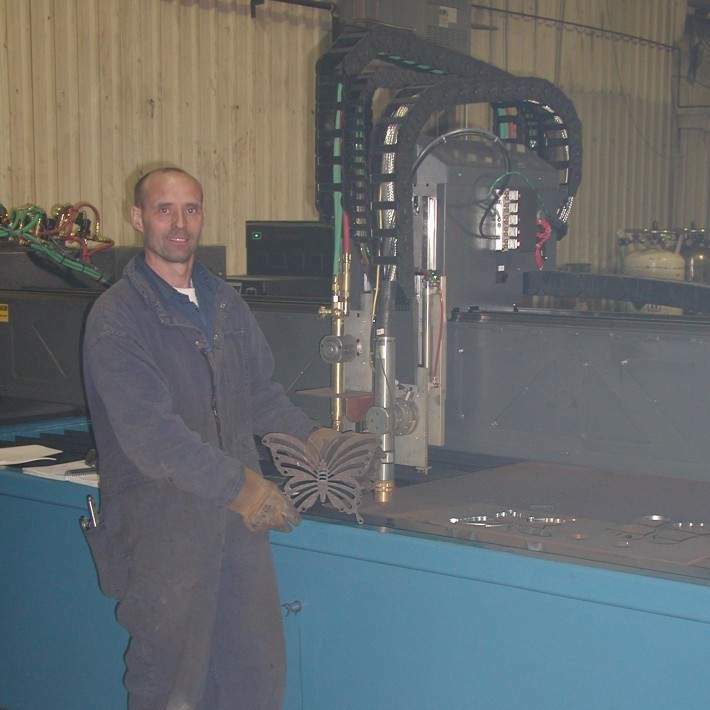 Initially, with the cost outlay for the equipment, RRD did not think a CNC plasma was essential to their business model. As the business grew, their need for a stable piece of equipment with the potential to expand production became readily apparent. After assessing the market potential, RRD made the decision to add MultiCam’s 6000 Series CNC Bridge & Rail System to their production facility. When it comes to investments, every business desires a short payback period and a high rate of return. For RRD, the machine purchase was a capital investment of approximately $150k. At first glance, this may appear to be a hefty sum but in RRD’s case, two fitters at an annual expense of $110k were replaced. The machine’s installation proved to be worthwhile, accumulating labour savings in addition to their ability to better service customers. Within a year, the business was able to recover the cost of their investment not to mention the competitive advantage also gained as most of their competitors outsource parts they cannot create without a plasma. The business is now able to cut a wider range of metals, increase the speed of operation, meet higher demands, and take on more complex work. “With the clearance between the bridge and tank, we can burn holes and shapes into HSS, channels, and angles allowing us to process anything and everything by reducing job time tremendously”. RRD can now burn parts which were previously done by hand; a very labour intensive and mistake prone method. When asked which feature on the machine was most appealing, Raymond said the “dual-pinion drives” as it allows for “superior accuracy”. With a rapid traverse speed of 1,800 IPM, the rigid, heavy, all-steel construction combined with precision guide ways, the 6000 Series is one of the most accurate heavy cutting systems on the market today.